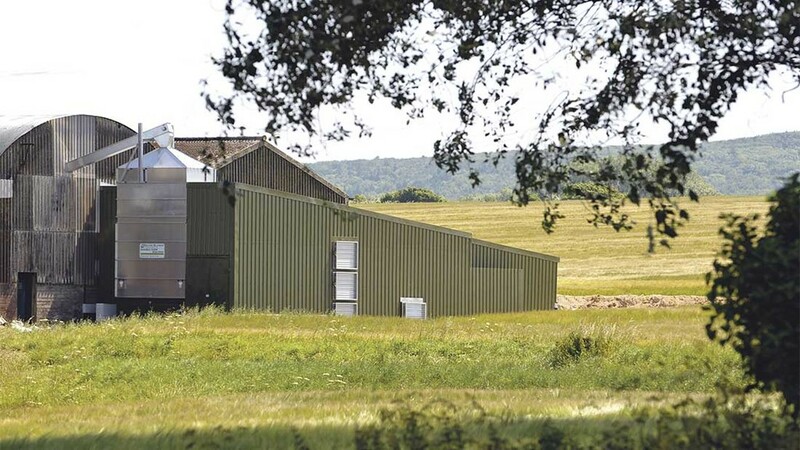 Lamma has always been a great showcase of successful British agricultural engineering. Jane Carley discovers the stories behind three long term exhibitors. The famous Teagle drum shredder. Teagle Machinery is best known for its range of ‘Tomahawk’ livestock Feeder Bedders. While the Tomahawk range represents a specialism in recent years, it is just part of a comprehensive range of machinery offered to livestock and arable farmers and horticultural growers worldwide. 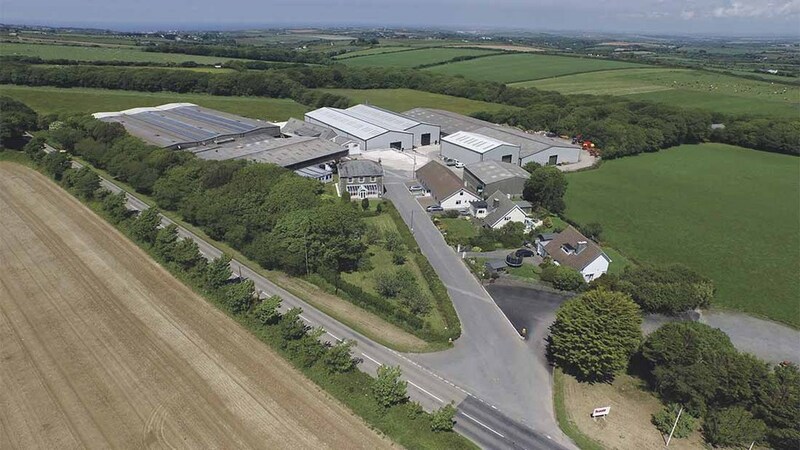 The firm now employs 150 people, most of whom are based at the plant near Truro, where it was established in 1943 by William Thomas (Tom) Teagle on the family farm in Cornwall. Some years earlier, with a passion for engineering, Tom began manufacturing horse drawn tip carts for local farmers. As the second world war broke out, he invented a novel potato planter, which not only used a cup system to place the seed but also deposited starter fertilizer around it – the first of its kind. The War Office requested that the design be passed onto manufacturers Dening and Co of Chard, Somerset with royalties to be paid to Tom Teagle, but this royalty agreement was never honoured. When he developed a new version of the machine in 1944, Tom Teagle was careful to retain ownership. The Teagle Universal planter could also be used for cabbages, broccoli and similar produce and became the company’s first success in export markets. The 1951 Mk2 trailed broadcaster. The 1950s also brought several seed drill designs, which could be fitted with fertilizer applicators and saw further development of the cabbage and potato planters and in 1956 the Jetso universal planter was launched. 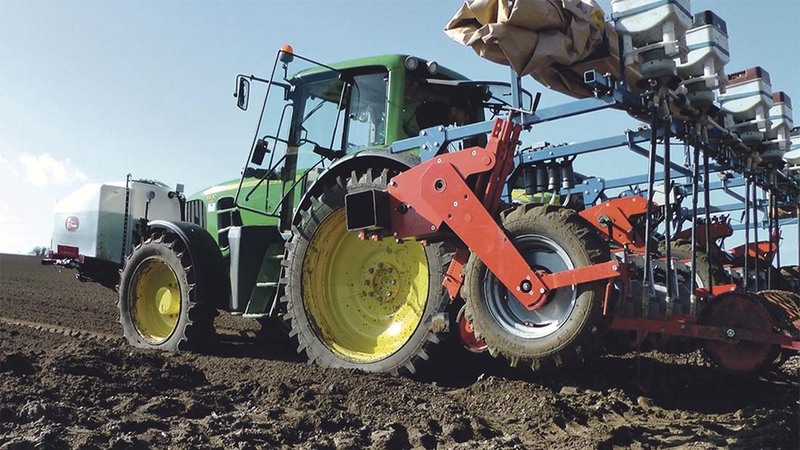 This machine was sold in kit form with options for varying widths, fertilizer units and transplanter or potato planter modules. Potato harvesting machinery, including the budget Spudnick, was equally successful but despite getting as far as the prototype of a two-row harvester, production issues and competition from the leading continental manufacturers meant that other machines took priority. Tom Teagle was ahead of his time with many of his designs, including an early crop sprayer, with the prototype being tested in 1943. The lack of available chemicals put the emergence of this now staple piece of kit on hold. He was a true engineer, and when he could not find a suitable engine for a hedgetrimmer project, he developed his own 49cc two-stroke power unit which was also used for tillers and powerscythes. Other engine designs followed including a four-stroke which found an application powering cultivators for horticultural markets. Broadcasters were to be a significant product for the company, and the first developments came in the 1950s – early models were towed behind trailers with fertiliser shoveled into the hopper by hand. 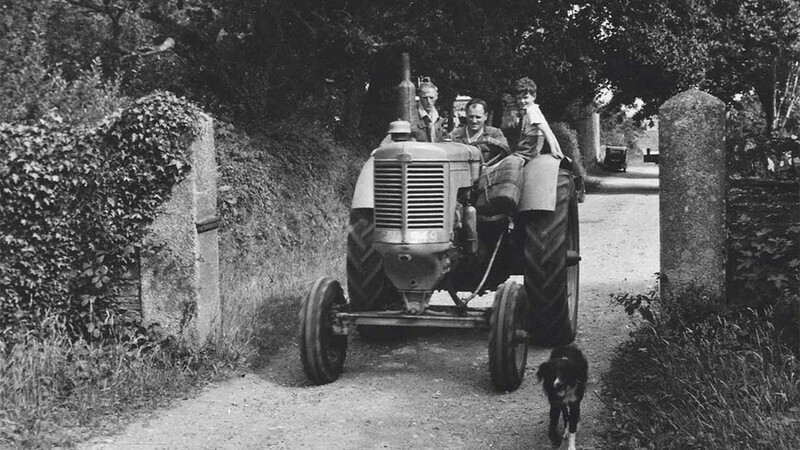 Thomas Teagle with son Fred on his tractor at the farm in 1949. By 1952 the Teagle broadcaster was being manufactured under licence in Australia, and in 1957 the designers came up with the first three-point linkage mounted, PTO-driven unit. The Versatile broadcaster was launched at the 1960 Smithfield Show and within three years, production reached 10,000 units per year. As recently as the 1990s this compact machine was still selling worldwide. Twin rotor models followed, and in 1991, the XT range was launched to meet the needs of larger farms. Toppers have been a significant product for the manufacturer since the 1960s, exported all over the world. In 2004 the launch of Dynamo finishing mowers took the company into the amenity market, complementing the smaller fertiliser spreaders in the Teagle range and flail mowers that are imported through a long-standing agreement with Italian manufacturer Berti. An aerial view of the factory at Blackwater near Truro. 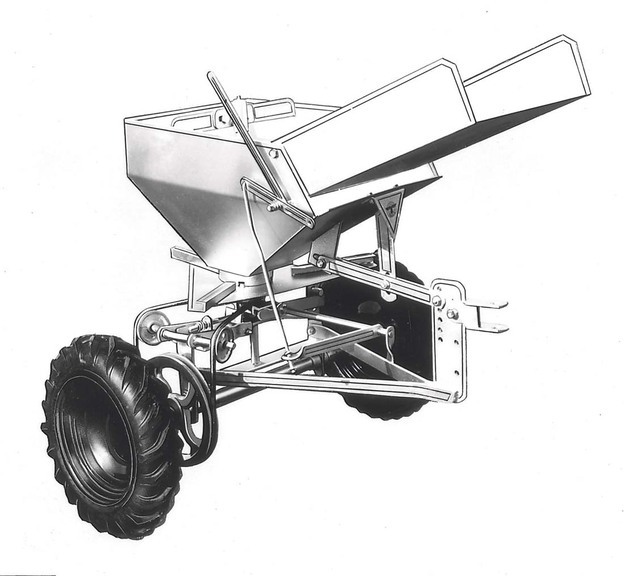 Muckspreaders, first introduced in 1963, have had a major impact both on sales and the evolution of production facilities at Blackwater. 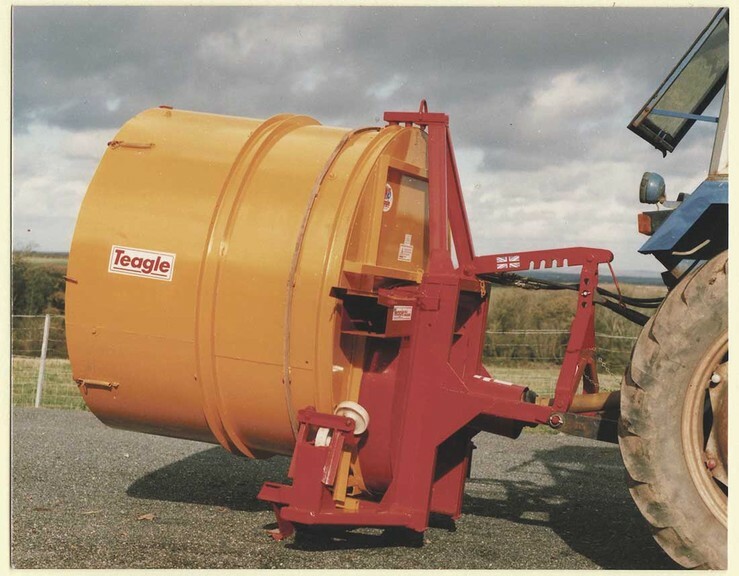 The first Titan rear discharge machines arrived in 1970, and after a spell importing spreaders from French manufacturer Le Boulch, Teagle made the decision to start producing its own machines once again. The Titan 10 and 12 spreaders introduced in 2011 were designed to be robust and to give the fine and even spread required on today’s farms and have since been joined by smaller and larger models. The renowned Tomahawk bale shredders were born in the 1980s to help get the best value from expensive hay and straw. As larger bales became popular, designs changed to accommodate the round bale, and then modified to handle silage, winning a Silver Medal at the Royal Show in 1992. 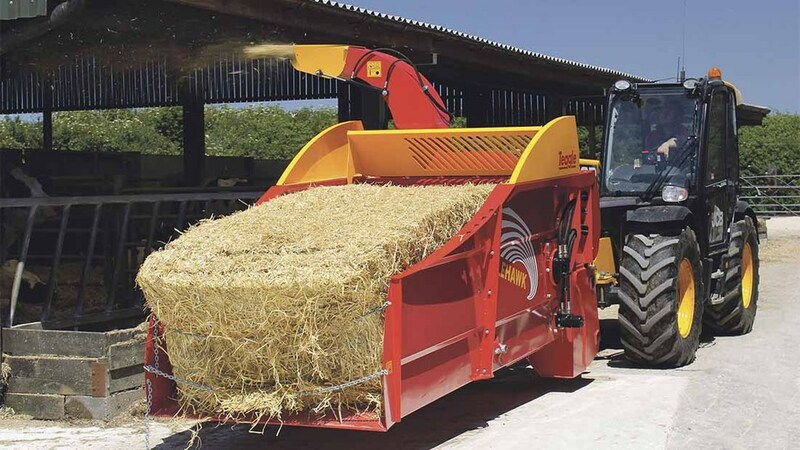 Big square bales presented another challenge, solved with box type Tomahawk feeder-bedders, and once again this range was an export success, with the largest 1010 model proving especially popular in the USA. While the UK finds homes for over half the machines manufactured by Teagle, over the course of the last two years, products have been exported to more than 50 countries worldwide, through a network of 35 distributors and a field sales team that includes sales managers based in France, Germany and the USA. Tom’s wife Mary worked alongside him from the early days of the company and son Fred joined the business full-time in 1957, having already put in many hours during school holidays. Sales director Tom Teagle Junior. Tom Teagle Junior, now Sales Director, joined the company in 2007 after working in industry. He works alongside cousins Colin, Roger and Robin Teagle – who all bring experience from outside the company - four of the founder’s eight grandchildren now being involved on a daily basis. As the range expanded and became more sophisticated, the company invested in the latest design and production technology, a CAD system and plasma cutter being added by 1990. This investment in production technology has continued with CNC rolls, robotic welding, and now five plasma cutters. In 2014 a new production hall for Titan muckspreaders was built, quickly followed by a further 1,500sq.m production hall which was commissioned to streamline production by centralising precision machining. “Teagle has a long standing commitment to these events from the early days of introducing new products at the Royal Smithfield Show to being one of a pioneering group of British companies at the Paris show (now SIMA) in 1975. Phil and Danny Hubbard in the Team Sprayers factory at Ely. 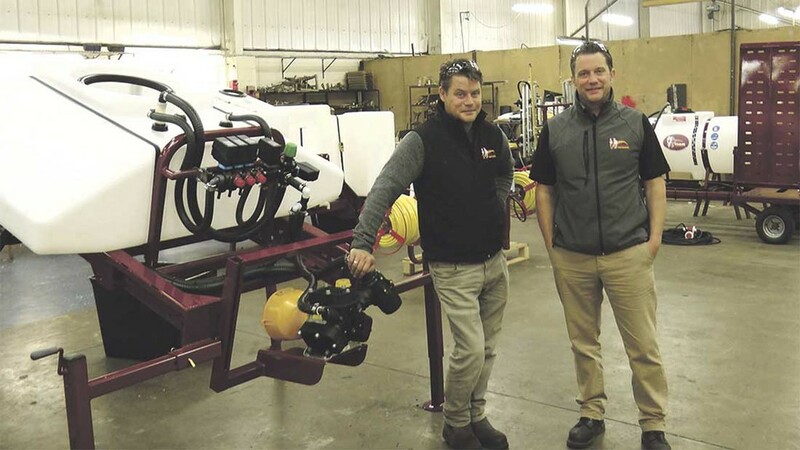 Based near Ely, Cambridgeshire, Team Sprayers was founded in 1981 after the closure of the well-known sprayer manufacturing company Dorman Sprayers. A team of seven recruited from the previous company brought with them a combination of skills and knowledge which were an essential starting block for the newly founded company. Utilising these skills and knowledge coupled with over thirty-two years of experience, Team has become a respected manufacturer producing sprayers and applicators for the agricultural and groundcare sectors. Operating as a family business offering quality, friendly and dependable service has meant that the company has managed to identify the individual requirements of its customers, which is an essential element when producing ‘one-off’ machines to customer’s requirements, it says. Working with many agro-chemical companies, the Ministry of Defence and the United States Air Force has meant that the company has had to maintain efficient production procedures. The company’s factory unit covers more than 1,200sq,m, including office, stores, assembly and fabrication facilities. The Arian sprayer; developed in response to customer demand for higher capacity mounted machines. Management team comprises managing director Daniel Hubbard who also looks after sales, brother Philip Hubbard who is technical director and also in charge of production, Steve Whitehand, stores, and Paul West, production. Team Sprayers suggest that diversification has been the main factor in its success, manufacturing and producing machinery to customers’ requirements and although agricultural sprayers have played a major part in the company history, they have also been successful in other markets including horticulture and amenity and in developing special bespoke machines such as runway de-icers. As an example of how the company responds to market demand, Team has continued to develop its front tank range to increase spraying capacity and thus productivity, with models up to 1,500litres. “We have launched a lot of new products since I took over the company, taken on new staff and doubled the size of the factory,” reflects Danny Hubbard. However, Mr Hubbard points out that the company is now renowned for high capacity equipment just as much as compact machinery. Specialist equipment includes fertiliser application systems for potato planters. The company has always been keen to launch new machines at Lamma and 2016 sees a raft of introductions. 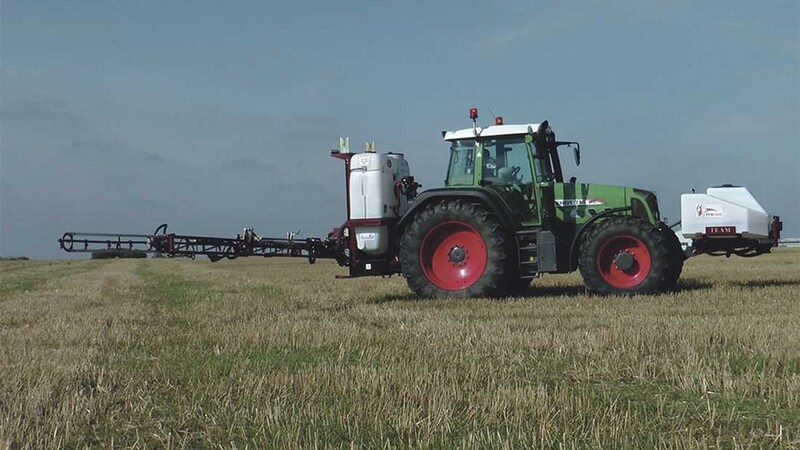 These include upgrades to the popular Leader trailed model and a new rear folding hydraulic boom option and 1,800litre tank for its close coupled Arian range of mounted crop sprayers. Team first exhibited at Lamma in 2009 on the recommendation of its dealers. 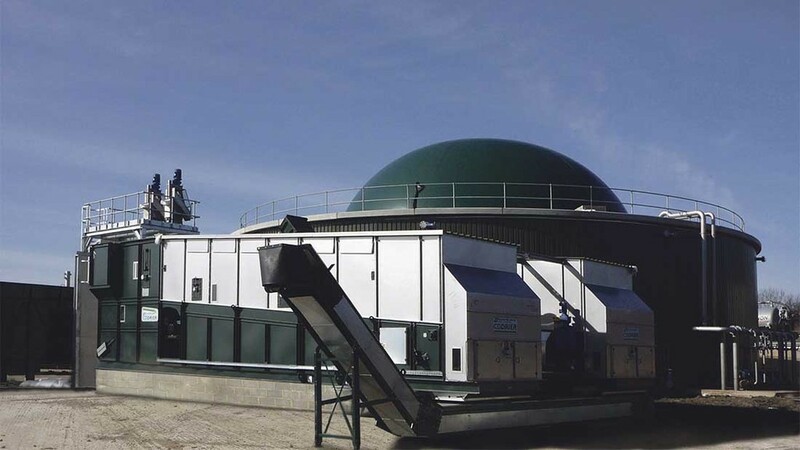 Alvan Blanch’s all-purpose CD driers can be used for a range of materials including paper sludge, digestate and wood chip. Alvan Blanch Development Co’s founder, the late Alvan B Blanch OBE, started his working life as a farmer and agricultural contractor. Through his prowess at sheep shearing he became head demonstrator at R.A. Lister Co, which even involved him in a televised display of sheep shearing for a very early BBC farming programme in 1938. In 1946 he started his first business - A.B. Blanch Ltd. to design and manufacture new farm machinery, and after selling the original business, he founded Alvan Blanch Development Co. Ltd in 1952. Its objective was to develop innovative engineering solutions to meet the needs of farmers and agro industrialists. Sales took off rapidly and early design concepts for grain driers and feed mixers have evolved into the equivalent machines of today. A new factory was built on farmland and barns were converted into offices. The on-site farm became the test bed for all new products. Alvan Blanch travelled worldwide and quickly recognised that agricultural traditions, dictated by culture, climate and economic factors varied enormously. Machinery should be just as varied - to meet the actual requirements in a country or region. This was the foundation to the company’s success in international trade that was given official recognition in 1969 when Alvan Blanch was honoured with the award of the OBE by H M the Queen. He remained at the helm of the business right up until his death in 1991. The renowned Double Flow driers are an important part of the range. Today Alvan Blanch is a leader in sales of continuous grain driers. These include some new variants of the established Double-Flow series, with 6-60 tonnes per hour input capacities. Alvan Blanch also offers complete turnkey solutions including storage and handling equipment sourced from partners around the globe. Design, manufacture and supply of driers, including mobile versions, is supported by a full planning, installation and commissioning service. Recent commercial partnerships have offered further opportunities. For example when working with Crowley Engineering, Alvan Blanch’s long time exclusive dealers in Ireland, the technical and commercial resources of both companies are pooled on large-scale process plant projects. The partnership successfully completed a $10 million project with Kenana Sugar Co. Sudan to process cane waste (bagasse and molasses) into pelleted animal feed. 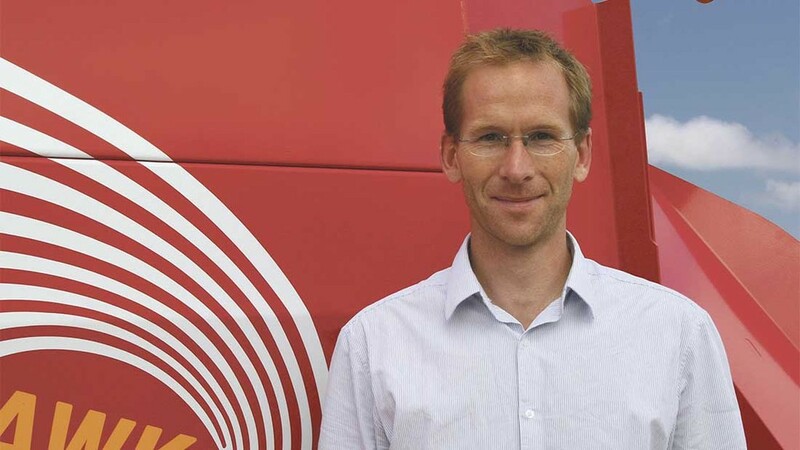 Next: Cereal precision drilling on verge of breakthrough?